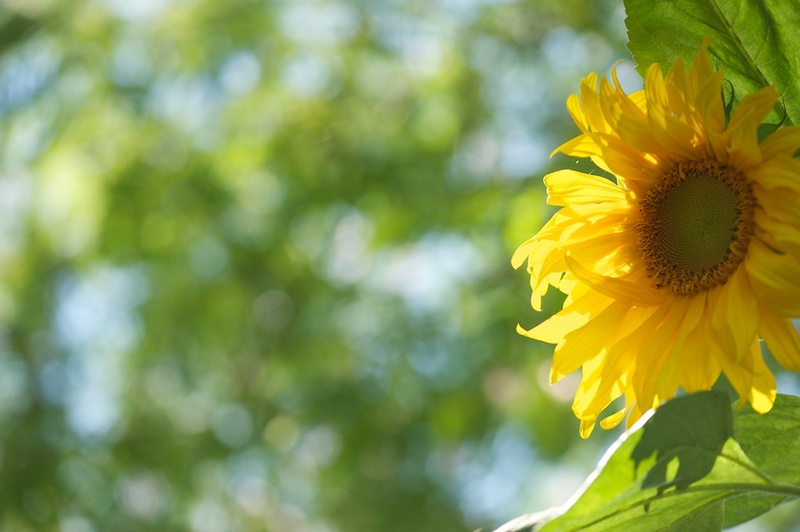 I didn’t know it at the time, but the day I took photos of our blooming sunflower turned out to be the only day the sunflower looked healthy and strong. 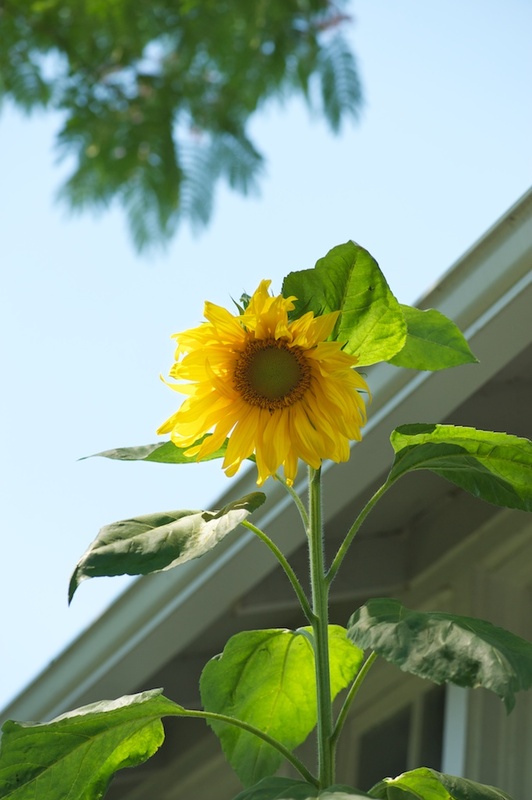 I’d planted a small sunflower start months ago; it began as a 3 inch green stalk, barely noticeable in the ground. Over the past few months, it’s grown – and grown – well past the estimated size of 6-7 feet. By mid-July, I assumed the plant simply wouldn’t flower, instead preferring to tower over our backyard like an overgrown weed. But when the stalk had reached 8 feet or so, a flower formed. 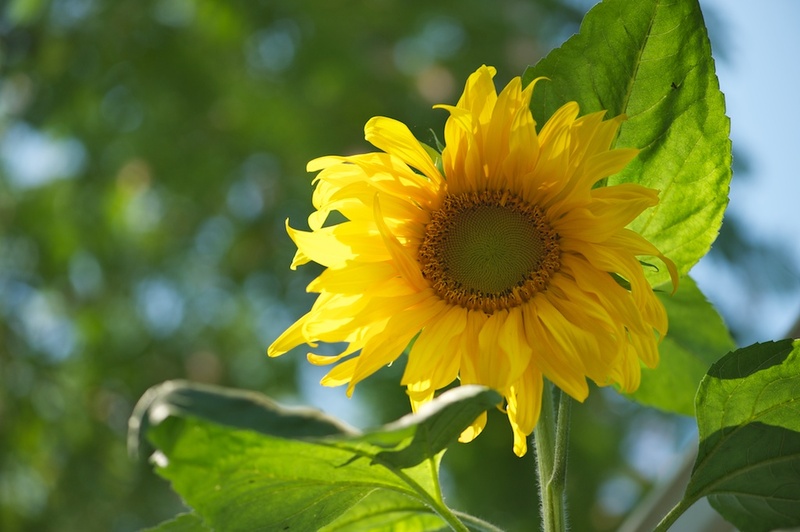 And on the day I took photos, the yellow sunflower was magnificent and the stalk stood rigid and proud. It was a different story the day after the photographs. 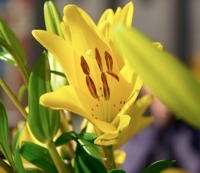 The narrow connection between the stalk and the flower proved too insubstantial to support the flower’s weight; the plant began to droop, first the flower and then the entire stalk. 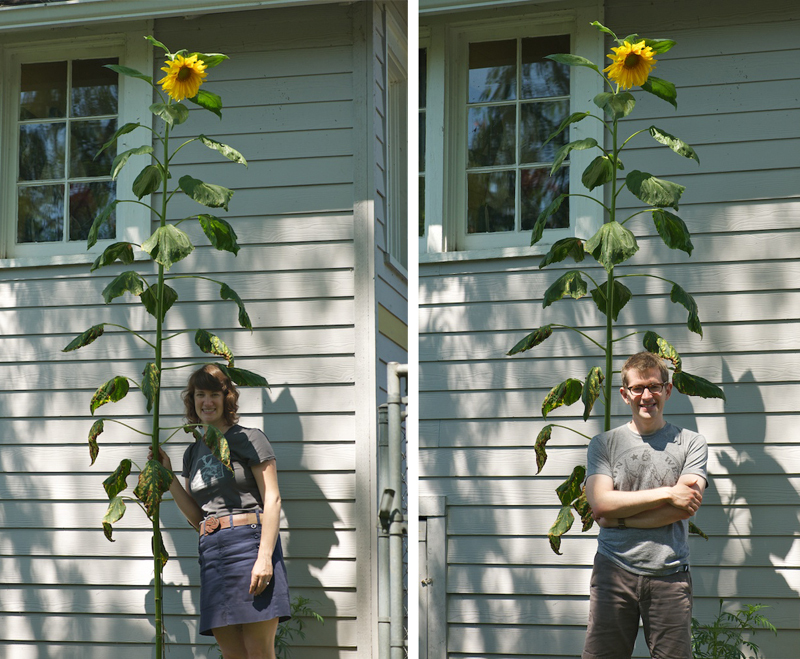 In the two weeks since I took these photos, our sunflower has been leaning further and further towards the ground: today it’s at a 60 degree angle! 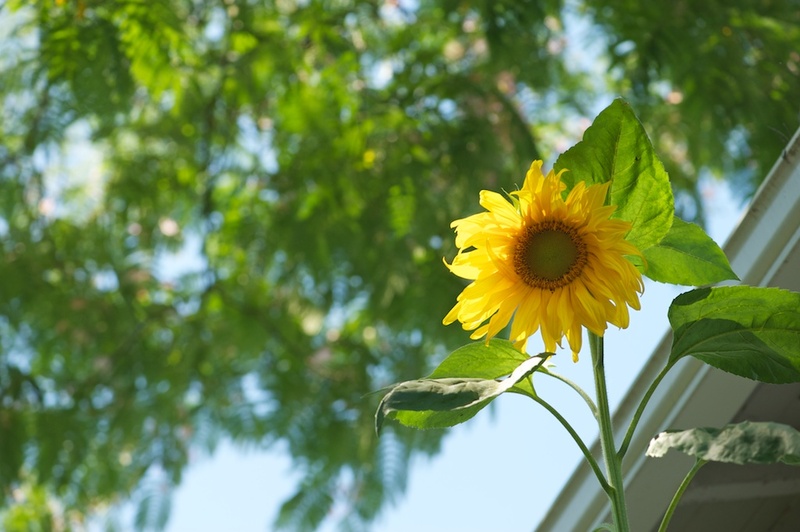 I’ll have to uproot the sunflower soon, before it completely collapses on itself, but I consider it a stroke of luck that I decided to take a few pictures on the only day it was fully upright. When Hugh and I are strolling about town, me hoisting his increasingly heavy frame in a front facing carrier, we’re frequently greeted by those we walk past.